Vance Joy (James Keogh) is not afraid of messes. 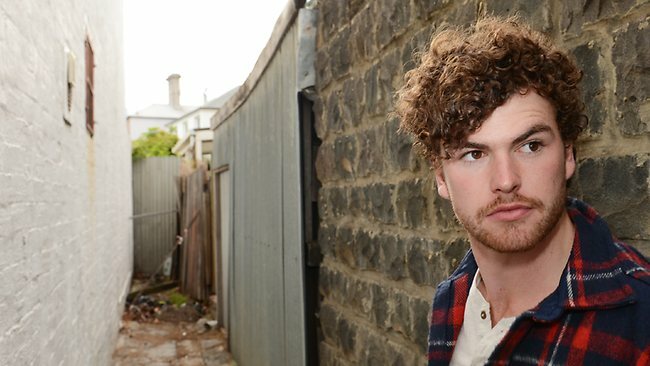 A veteran of the Victorian Football League (before he left behind is football career to pursue music), Vance Joy, I’m sure, experienced many messy situations on the field. Heck, the mess might have been his, but the #2 song of 2014 is tinged with a bit of irony, because there is nothing messy about “Mess is Mine,” and there lies the draw of Vance Joy’s delightful tunes. What makes this song good? The opening riff is inviting like a warm home or cup of hot cacao. Vance Joy’s conversational vocal turns him into a polish troubadour, and he sings with an effortless quality that is refreshing. The percussion varies from what sounds like a muted snare hit to organized hand claps, much in the vein of a less produced Phillip Phillips song. An old man river lead-in culminates into an ardent chorus followed by an agglutination of instruments and a Ritter-like howl. The song combines so many influences into a sprawling piece of vocal and instrumental beauty; it is pastoral in its simplicity, and the string-laden bridge is wonderful. Excellent song from a tremendous new artist – expect a whole lot more from Vance Joy.